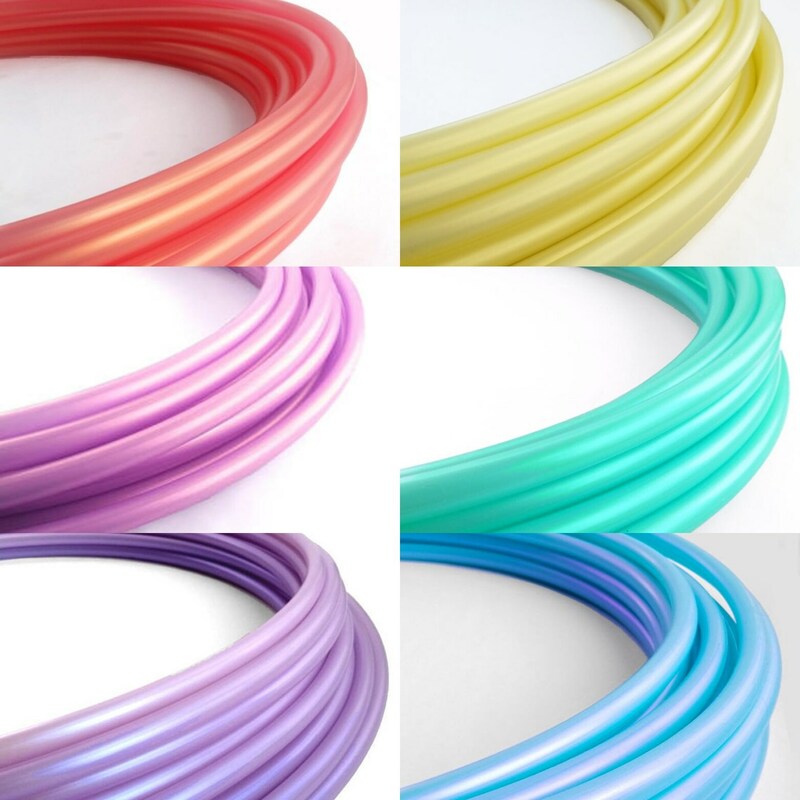 This Listing is for six piece polypro hula hoops in Jellyfish, purple, golden papaya, banana custard, turquoise, unicorn blue and lavender. Each connection has a push pin lock makes these hoops easy to fold down for travel. Hoop measured in OD. Push pin lock allow for hoops to fold down with ease for travel. All hoops are measured in (OD) Outer Diameter.